CineBee was started in 2015 with a simple thesis to understand user’s taste for movies and TV. In the process we have built a better mousetrap to imDB and Rotten Tomatoes. The star rating system is broken and not actionable. Here is why? If two users rate the movie, one providing a 5 star and the other giving it a 1 star, the average drops to 3 star. Is this movie good or bad? It depends which type of user is asking this question. Averaging eliminates the taste in a review and CineBee preserves this in every review. With CineBee, a review has many dimensions -- you rate the actors, rate the crew and also rate the movie or episodic. It takes 10 secs or less to rate. 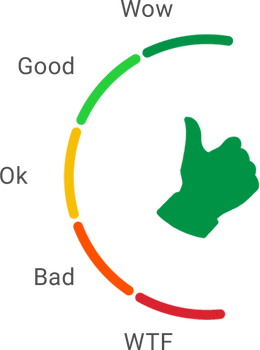 With CineBee, rating is not a feel good activity or a hobby. Every review leaves a taste impression of the user and CineBee builds a tribe with similar taste chemistry. This Tribe network is the foundation on which prediction, recommendation and discovery services are built. Less guesswork and zero bias. CineBee has a rich perspective on any movie on episodic and we display this using our proprietary rating meter called CineScore. With CineScore, a user can get a sense of what is trending and what is not across various content dimensions. This visual rating meter says more about a movie or episodic that many million comments found on social waterholes. Predicting the path of the hurricane or the trajectory of a stock or the next 10 day weather is a all about harnessing every signal and determining its constantly changing influence. Using very similar science, CineBee is able to predict if a movie or episodic will be interesting to a specific user. Our prediction algorithms relies on 100s of parameters that includes user’s affinity to stars, geo, demo, star power, tribal signals and past reviews to come up with a prediction that is very personal. As the market signals changes, our prediction models are dynamic to provide the latest visibility to a user. CineBee is available on Android, iOS, Web and Facebook Messenger for Hollywood and Bollywood movies and TV content. CineBee is built to understand the power of YOU. 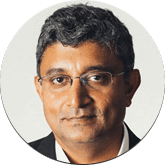 Kumar Ramachandran is a serial entrepreneur and a forward-thinking business strategist, who has led several start-ups to pre-IPO stage using his expertise in operations, technology, negotiation, and product engineering, management and marketing. Ajay Reddy hails from a business family who were one of the pioneers in multi-storied commercial building construction during the 1970s. 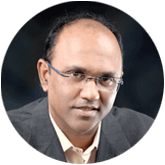 Ajay is a proven serial entrepreneur with a visionary view and ability to identify new business prospects that are original and bound for success. 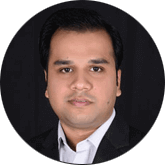 Salil is a forward-looking technologist and expert on Data Modelling, Cloud computing, Machine Learning and Neural Networks. An Applied Geophysicist from the IIT(ISM) Dhanbad, he is currently engaged in unearthing gems from movie data mines. 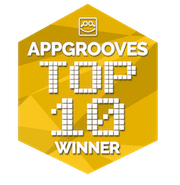 For #movie_reviews AppGroove selects CineBee as the second best app globally. CineBee is bringing people together based on their taste in Cinema. CineBee: An App That Gives You Movie Reviews You Can Actually Trust.